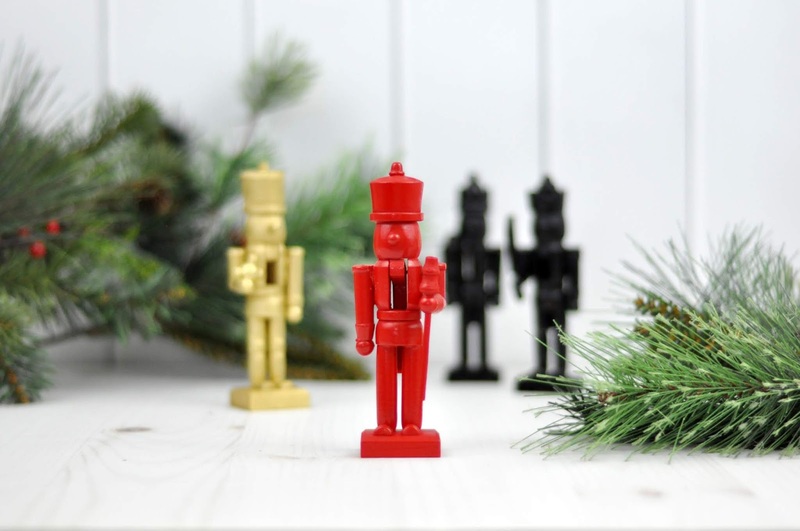 I remember being fascinated by our neighbor's nutcracker each holiday season. Something about putting the nut in the nutcracker's mouth was so satisfying. 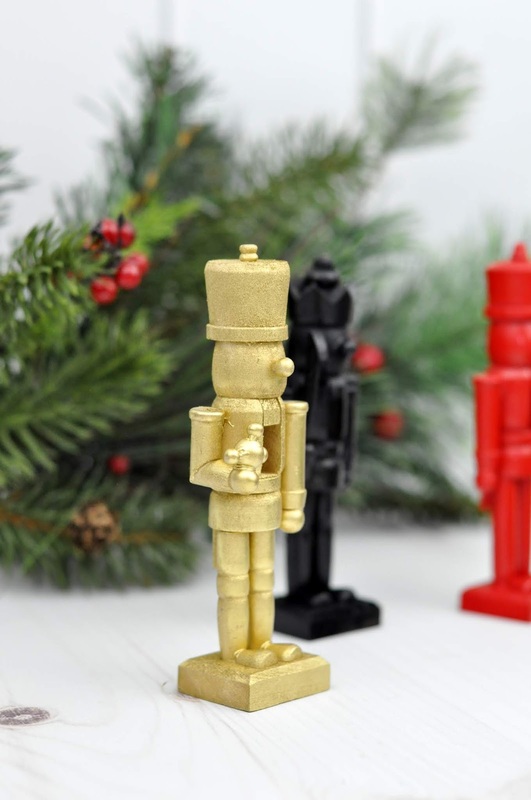 Through the years, I've always wanted my own nutcracker, but my holiday decor varies so greatly from year to year that I didn't want to commit to just one style of nutcracker. 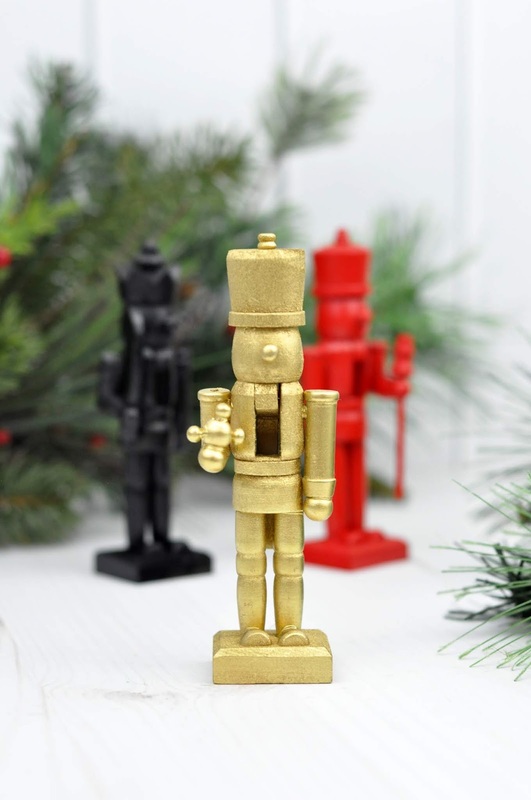 So I thought it would be fun to modernize the look of nutcrackers to fit my Christmas decor. 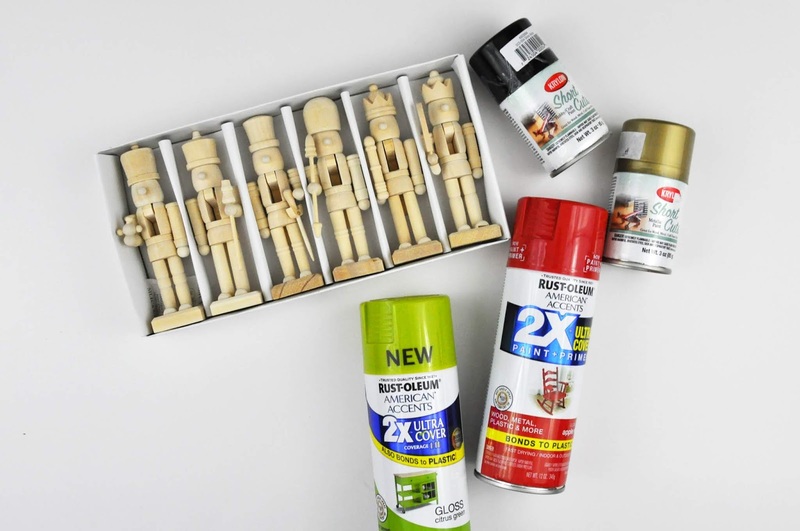 So using spray paint, I modified some darling nutcrackers from Hobby Lobby. Keep reading for the complete tutorial. Step 1: Select the colors of spray paint you want to use. I'm sticking with my green, red, and black holiday colors for this year's choice. 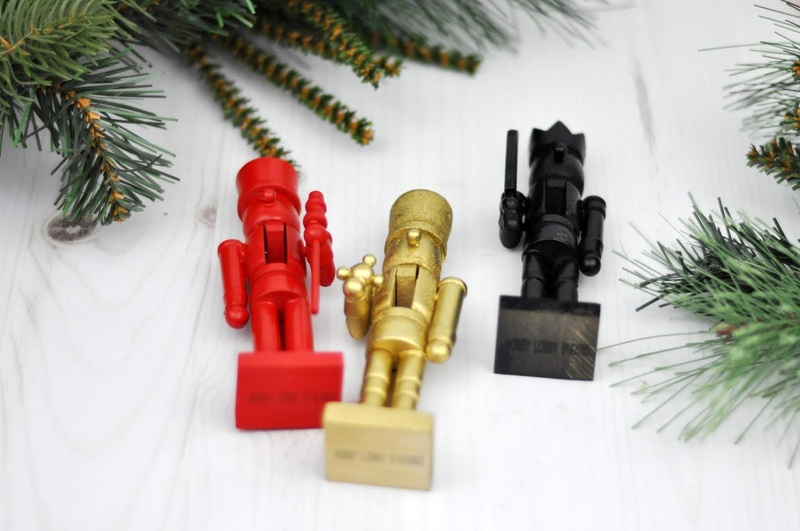 Step 2: Spray each nutcracker with the color selected. 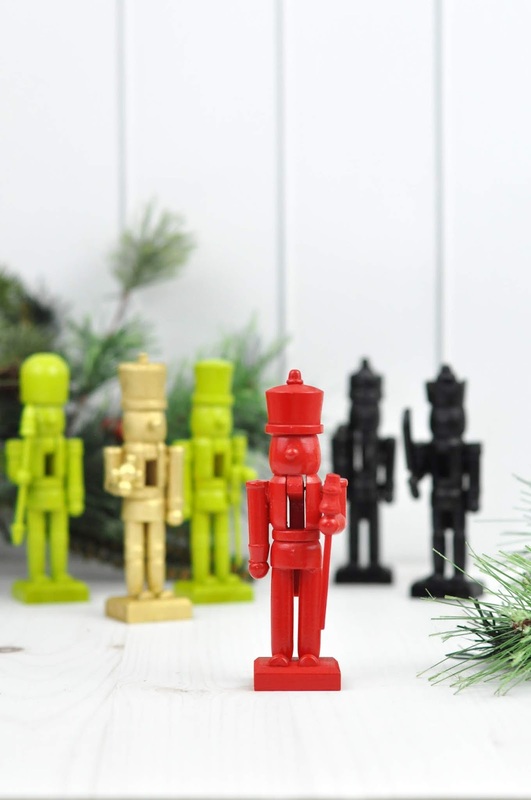 Because this was a set of six different nutcrackers, I knew I wanted to mix up some of each color. It might be fun to do an ombre set in red, or green to mix things up. Step 3: When dry, sprinkle your nutcrackers throughout your holiday display. On your dinner table, on a mantle, or even hung from your tree would all be great options. Be sure to pin some of the above images to your favorite holiday Pinterest board. 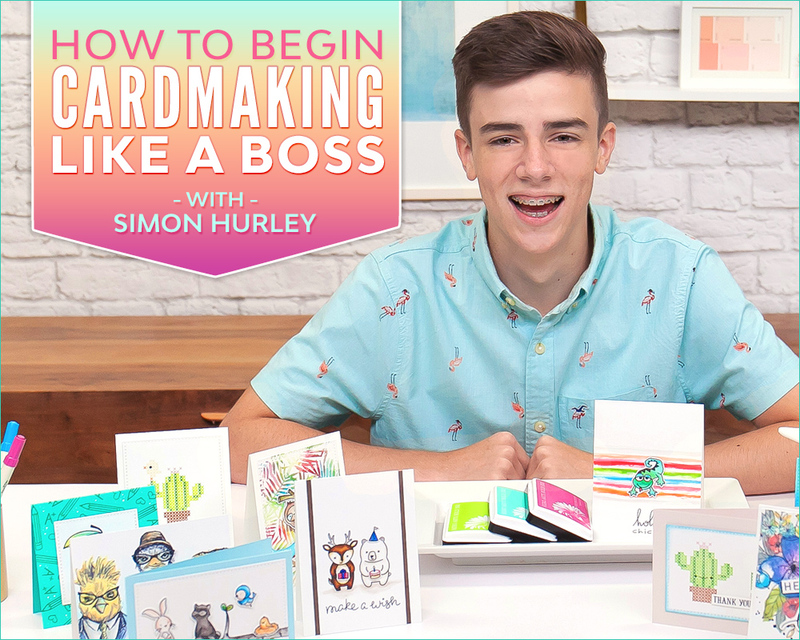 Then share with me if you tried this craft. It's a great craft to share with kids. Oh, how fun! 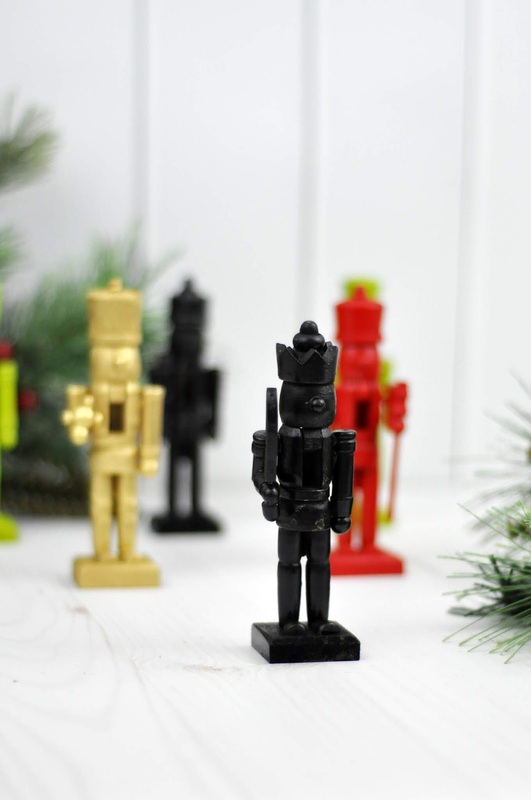 I love Nutcrackers and I could do this and hang them on my tree! 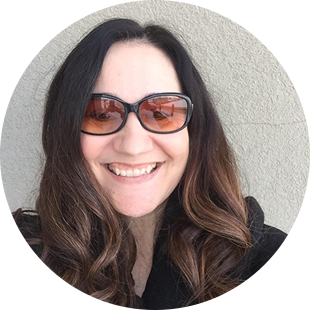 Thanks for the fun inspiration Jen!